Ben made this Taiwanese Braised Pork Belly for dinner. Everyone at home loves it. It is saucy and the pork belly has the right amount of fat and lean meat which gives it the great texture. 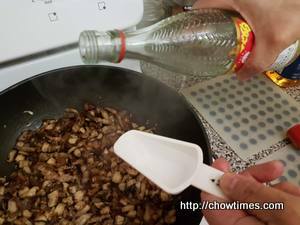 Heat the wok on medium heat and add a tablespoon of oil (optional). 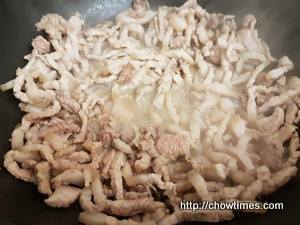 Cook the pork belly, stirring them frequently. 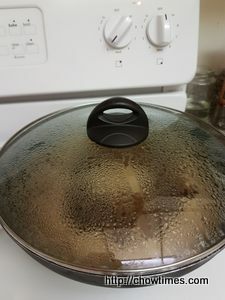 The pork belly will release water in the beginning. After all the water is evaporated, the pork belly will release it’s fat. 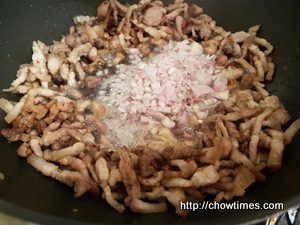 Cook until the pork belly is lightly brown. 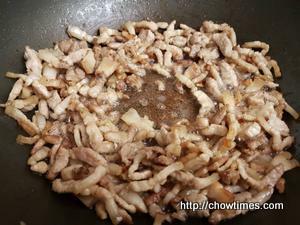 Move the pork belly to the side of the wok and add the shallot in the pork fat and cook until fragrant. 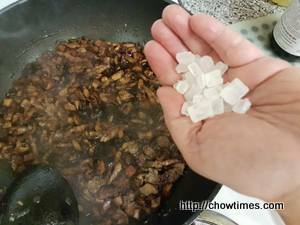 Add chopped garlic and cook for another minute. 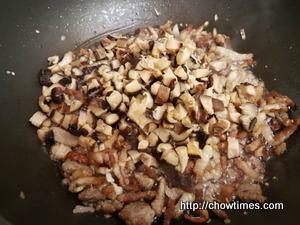 Add the diced mushroom and stir fry until you can smell the aroma of the mushrooms. 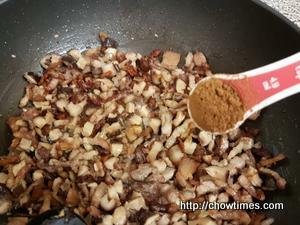 Add the five spice powder and white pepper. 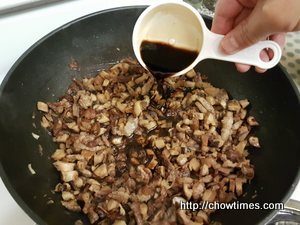 Add the light and dark soy sauce. Lastly, add the chicken stock and the mushroom soaking liquid. Bring it to a boil. 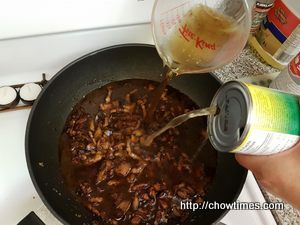 Once it comes to a boil, cover and lower heat to medium low and simmer for 30 minutes or more; to your preference of the tenderness of the meat. 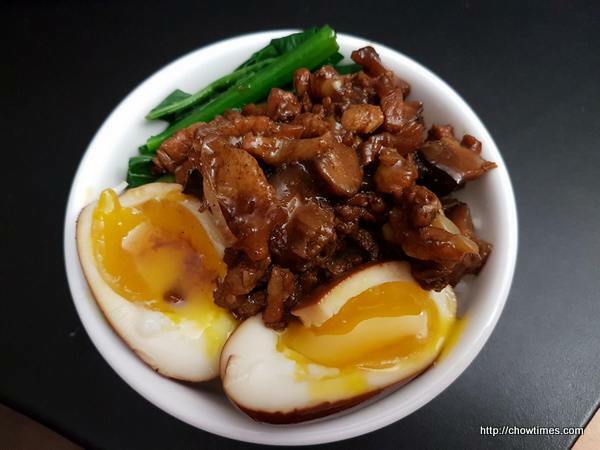 Enjoy with steamed rice, hard boiled eggs and steamed vegetables. 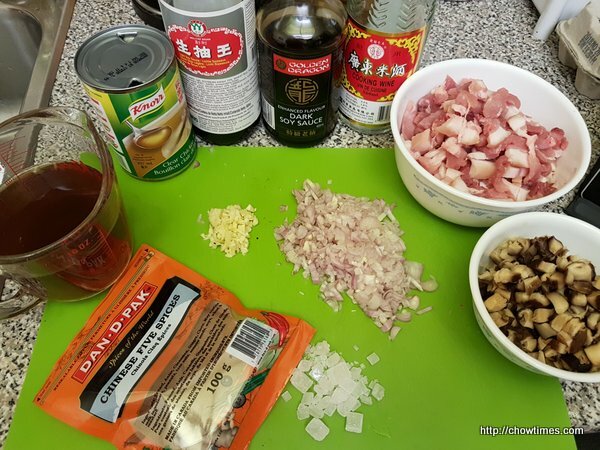 This dish does have a lot of pork fat in it. For a healthier meal, refrigerate it overnight in the refrigerator and remove the fat cap the next morning.